Howard Tevlowitz has been the Executive Director of The Jewish Federation of Sarasota-Manatee since 2001. 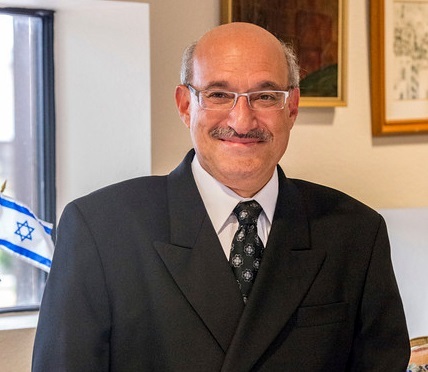 He is a highly experienced leader and change agent working within the Jewish Federation system in Minneapolis, Long Beach (CA), and Philadelphia as well as with State of Israel Bonds for the past 30 years. Since 2001, Howard has helped to reinvent The Jewish Federation of Sarasota-Manatee by setting up a concierge-outreach model focused on a variety of one-on-one and large group engagement opportunities/entry points into the Jewish community; granting based on outcomes; a focus on Israel ‘beyond the conflict;’ and Jewish cultural and arts engagement, as well as the strategic philanthropy required to sustain it. Howard attended Brandeis University in Waltham, Mass. then earned his master’s degree in International Relations from the University of Florida. After graduation, he moved to Israel, where he participated in the World Union of Jewish Students (WUJS) program in Arad and Jerusalem. His passion for the State of Israel is a guiding force in his life, both professionally and personally. Howard and his wife, Bryna, have two adult children, Aaron and Janna, who currently reside in New York City.